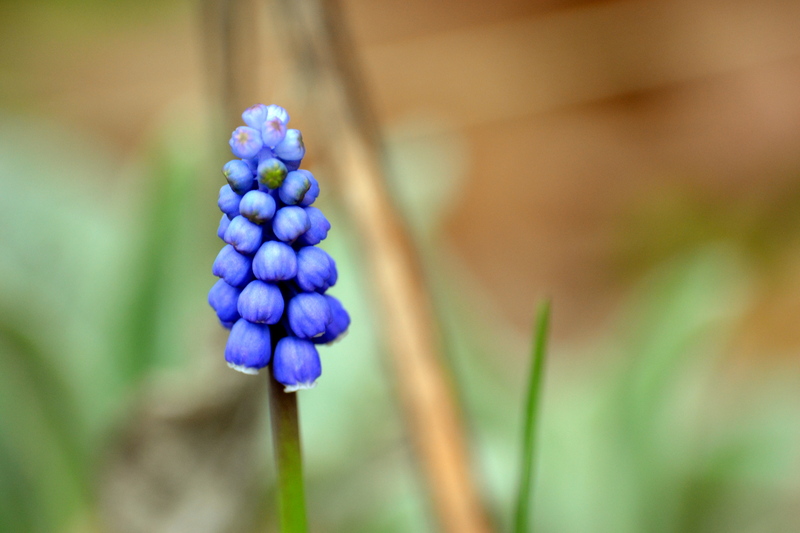 My daughter loves Grape Hyacinth. She has studied and feels connected to Buddhism. And her whole life has changed. A year ago, in the midst of a challenging first year of university, Laura realized that she had started down the wrong path. Not that university was the wrong path, but that the university she had chosen possibly was not the right one. Although it was an excellent university and one that had been the perfect fit for her brother, Laura felt out of sorts, perhaps even out of place. At 18 years old, she made the brave decision to follow her heart – and her head – and move to a university much farther from home, without much but thin threads to her life here. It has been a year. A year of triumphs, smiles, homesickness, adventures, great friendships, a few tears here and there – but without question, an excellent choice. I visited her in March and had my greatest wish confirmed: she had found her place. It was like she wrote her life story and then jumped into it. People often say, “it can’t be what you want”. I disagree. What I want for my children is what I want for myself: to feel at peace with who they are, find happiness and feel they are living their lives for themselves. To follow someone else’s wishes is not what makes for a life. So yes, along with her life, my whole life has changed. And at the same time, I am at peace. I miss her, just as I miss the immediate presence of her brother, but I know that they are living THEIR lives. And so missing them does not consume me, but rather is a confirmation that they are on their way, confident in their relationships with us and confident in themselves. We all need to follow our hearts!